BOSTON, January 19, 2017-- J.W. Childs Associates, L.P., an operationally focused private equity firm specializing in buyouts of middle-market growth companies, today announced the addition of Joseph M. Fortunato as Operating Partner. Mr. Fortunato will focus on evaluating, acquiring and growing businesses in the Specialty Retail industry. "After 25 years of working with Joe as a leader in the specialty retail sector, I am delighted he is formally joining the J.W. Childs team," said Bill Watts, Partner, J.W. Childs Associates. "Joe has tremendous operating, financial and board management experience with retail businesses and has been instrumental in helping me steward numerous J.W. Childs portfolio companies. Like all of our Operating Partners, Joe brings a long track record of creating significant shareholder value in a private leveraged environment." Mr. Fortunato has been actively involved with numerous past and present J.W. Childs portfolio companies. He is currently Executive Chairman of Comoto Holdings, the parent company of Cycle Gear and Revzilla.com, two of the nation's leading retailers of apparel, accessories and parts for motorcycle enthusiasts. Mr. Fortunato also serves on the board of Shoe Sensation, a leading family footwear retailer in the Midwestern United States and was a Director of Mattress Firm, the nation's largest mattress retailer, prior to the sale of J.W. Childs' interests to Steinhoff in September 2016. Mr. Fortunato commented, "I'm very pleased to formalize my partnership with the team at J.W. Childs and look forward to continuing their long-standing track record of successfully investing in the consumer products and specialty retail sector. The shifting landscape in retailing presents an opportunity to generate significant shareholder returns leveraging traditional brick and mortar execution with the digital and omni-channel acumen necessary to satisfy the needs of today's consumers." Preceding his involvement with J.W. 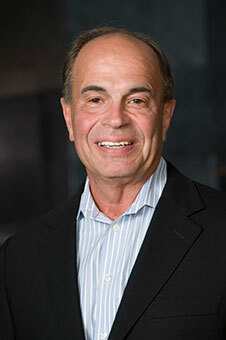 Childs Associates, Mr. Fortunato served as President and Chief Executive Officer of GNC Holdings, Inc. (NYSE: GNC), a leading global specialty retailer of health and wellness products, from 2005 through 2014, generating substantial shareholder gains for several private equity investors including Ares Management, Apollo Management and Ontario Teachers' Pension Plan. He also led GNC's successful IPO in 2011 and assumed the responsibility of Chairman of the Board from 2011 to 2014. Prior to being named President and CEO in 2005, Mr. Fortunato held several leadership positions within GNC, including Senior Executive Vice President and Chief Operating Officer, Executive Vice President of Retail Operations and Store Development, Senior Vice President of Financial Operations, and Director of Financial Operations. Mr. Fortunato holds a B.S. degree in Finance from Duquesne University.